In the months leading up to the launch of Apple Watch, talk has largely revolved around the watch’s style and specs like battery life. But Apple’s wearable might actually be a game-changer now that the Food and Drug Administration is giving health app developers more freedom. Medical device maker DexCom is readying an Apple Watch app to pair with its diabetes glucose monitor to help diabetics monitor their blood-sugar levels all day long. According to the Wall Street Journal, DexCom will display data it pulls from a sensor beneath the skin as a graph on the Apple Watch face. We can expect to see more health-tracking apps for iPhone and Apple Watch since the FDA decided to loosen its restrictions on software late last year. Medical device manufacturers still need approval from the agency for their products, but health-monitoring app developers only need to register with the FDA, not obtain permission. The new rules for health apps will make it easier for developers to take advantage of Apple Watch’s wrist real estate and deliver useful notifications. More than half of America’s top hospitals are pilot testing Apple’s HealthKit, a centralized database for medical devices and health apps to plug into, for remote health-monitoring programs. Apple Watch could play a useful role in those programs by letting patients easily glance at their data and receive notifications from their doctors if a measurement sets off alarms. Apple hasn’t yet approved any Apple Watch apps, but developers are following WatchKit guidelines to create reasons you would want to buy a smartwatch. 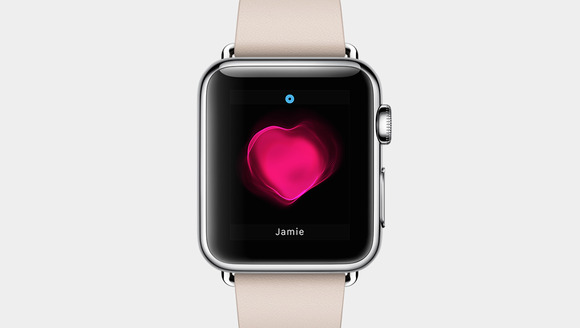 Apps to track your medical conditions are one of the more compelling use cases for Apple Watch.